IoT companies interested in cracking the last-mile delivery challenge are taking their ideas to the street—literally. A handful of delivery robots developed by London-based Starship Technologies have hit the road recently with preliminary delivery tests in San Francisco and Redwood City, CA. The company aims to provide a quick, inexpensive, on-demand delivery service, especially for food and groceries. About the size of a rolling cooler, Starship Technologies robots are categorized as unmanned ground vehicles (UGVs) and are a segment of a larger growing robotics market. Research firm Technavio predicts the overall market for UGVs, mail-sorting robots and drones that deliver products to customers from warehouses or manufacturing locations will expand from $15 million in 2015 to $54 million by 2020, according to an article in IEC e-tech. The overall worldwide market for logistics robots is expected to reach $2.15 billion in 2020. Currently this market is dominated by mobile factory logistics robots, which compose 81 percent of the overall robotics devices in use. According to Technavio, robotic devices are booming due to the development of laser scanner-based navigation technology, which makes the autonomous robots more intelligent and self-driven. The rising demand to automate e-retail supply chain and shop floor warehouse integration is also contributing to growth within factories. Starship Technologies is just one of several contenders in the residential robotic courier market, attempting to securely transport goods from warehouses, retail storefronts or mobile delivery vans to homes. While Amazon continues to test flying drones, Starship Technologies is moving forward quickly with troops on the ground. Its central mission: reduce last-mile costs. In central London, for example, delivering a package on demand currently runs around $15 for the customer. Starship Technologies told Inc. it wants to get that cost down to around $1. Starship has tested its autonomous bots in Britain, Germany and Switzerland, and it launched partnerships with Hermes, JustEat, Metro Group, Mercedes-Benz and Swiss Post offering robotic delivery for the food, grocery, medical and parcel industries. The company intends to unleash its first pilot fleet of delivery robots in the United States in Washington, D.C. later this fall. City officials in DC have been supportive of the technology introduction. In June 2016, the District passed special legislation—the Personal Delivery Device Pilot Act of 2016—to allow these six-wheeled devices on its public sidewalks and crosswalks. Under the Personal Delivery Device Act, five robots will operate in DC neighborhoods. The robots will deliver food, groceries and other parcels within 15 to 30 minutes for a $1 to $3 fee. Starship is partnering with existing delivery companies in the area. Upon online checkout, users will be able to select if they want traditional or robot delivery. The Starship Technologies robots drive autonomously using nine cameras, GPS, obstacle detection software and Starships’s own maps, which are accurate to the nearest inch, according to the company. They are monitored by humans in a remote location who can take over control if need be. A workday for a robot would begin by the device leaving a hub—which could be a mobile delivery van or fixed location—where it lives. It would travel to a grocery store or restaurant to pick up the payload. If the business has stairs, then the staff would have to go outside to meet the robot; however, the devices can handle curbs up to 20 centimeters tall. Someone would then put the delivery (up to 20 pounds) inside the robot’s secure compartment, and it would travel at no more than 4 mph to its destination. The robots can hit speeds of 10 mph, but the DC policy limits speed to 4 mph. 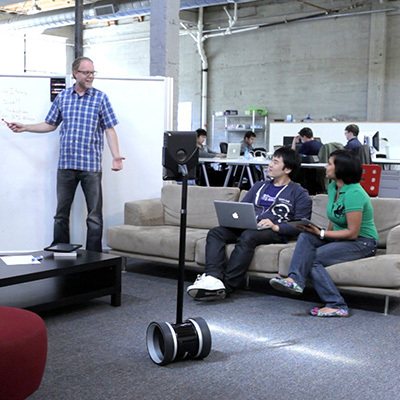 The robots have two-way audio, so they can talk and listen to people around them. That means, for example, if they need someone to push the button for a walk light, they can ask someone nearby. As they travel, they'll communicate information about their route to help the entire fleet learn more quickly, a strategy used by Tesla’s cars. “We are analyzing terabytes of data each month to develop algorithms for safe and intelligent driving,” says Kristjan Korjus, Head of Computer Vision and Perception at Starship. Narrow sidewalks, busy streets and high curbs are all managed carefully to ensure a successful delivery. This intensive learning during the past 12 months has enabled the delivery robots to become the safest in the world, he adds. To date, 1.3 million people have come in contact with the Starship robots in cities around the world. The Starship team has found that 65 to 70 percent of people that encounter the robots ignore them. The only reported interaction so far is a group of kids trying to feed one of the robots a banana, according to the company. The Starship robots have had no accidents, and no one has tried to steal the deliveries. To prevent theft, the delivery compartments are locked until they arrive at their destination. The customer can track location of the robot and its time of delivery via a smartphone app. The cargo bin can only be opened by the recipient. If someone does try to pick up a robot, an alarm goes off, and Starship Technologies tracking can locate the robot immediately. “If you put it in your car, we’re going to know where you are,” Harris-Burland says. Patricia Schnaidt is an expert business technology writer. She has held top publishing and editorial positions at InternetWeek, Network Computing, Windows Magazine and LAN Magazine. Schnaidt has written countless articles, lectured extensively, and authored "Enterprise-wide Networking" (Prentice-Hall). She holds a B.A. in Computer Science from Columbia College, Columbia University.